In November 2017 when the New Labour/Green/NZ First Government took Office, Jacinda Adern, our new Prime Minister made a bold announcement in the Speech from the Throne – there would be “no new mines on conservation land in Aotearoa New Zealand”. Six months later, Eugenie Sage, Minister for Conservation, said that there would now be consultation on the policy, indicating that this would be undertaken in September. Now, 6 months on from that, we have had no progress on either the policy nor the consultation. 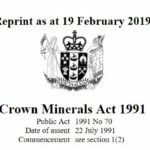 CWoH are deeply concerned about this; naturally, such a bold announcement has prompted the mining industry in Aotearoa New Zealand to rally, to lobby Government hard to minimise the policy, to rally the Australian industry to support them. It has prompted companies that are currently ‘exploring’ on conservation land to ramp up their efforts. 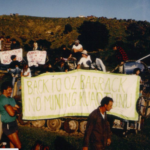 We know, for example, that Oceana Gold, the multinational mining company that is NZ’s largest operator, are poised to get a mining permit now, for an area behind Whangamata at Wharekirauponga. An area that is a vital habitat for a core population of the worlds most threatened frog, the Archeys frog, and several other threatened species. We have been calling on the Government to at least put a moratorium on new permits while they work out this policy, but no action has been taken. We have written, we have called publicly for action. And so we wait. And we encourage everyone to write to their MP, to the Ministers of Conservation, of Minerals and Resources, of Tourism, Environment, Regional Development – anyone that you think might be interested, might be able to get things moving – or who might be blocking it. Let them know that there IS public will for this, that it is a vote winner, that we, us, all of us, are stronger than that well resourced industry. While they have money, we have votes! Theres lots of contacts on our ‘What can I do?’ page. Keep in touch by following and liking us on Facebook – we do email out members, but try not to fill your inbox with emails!